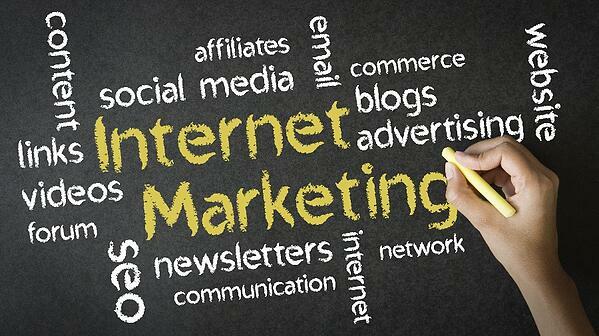 Hiring a company to help you improve your internet marketing in Charlotte can be a time-consuming and costly endeavor. It takes a lot of time to sift through the dozens of different agencies that make the city their home base, reach out to people within those organizations, and determine which ones will be a good fit. And that’s just the first step in the evaluation process! Once you have a company chosen, that is when the hard work really begins. Understanding how to work with a consultant or agency to get the best results for your business is important for creating a positive outcome. It’s important that your company and the agency that you work with are willing to work closely with one another, but not ask either side to step too far outside of their comfort zone. Many engagements with marketing agencies end up being a wash for the company that hired them. Either they didn’t do a good enough of a job vetting them, aren’t a good fit for their processes at the time of hiring, or there is a disconnect between the two teams for what success looks like. Digital marketing is a pretty big playground. There are huge differences between search engine optimization, pay-per-click marketing, and inbound marketing. Each entails a completely different approach from the agency. You can’t really evaluate internet marketing agencies or consultants until you know the differences between the different types of internet marketing strategies. Only then can you determine where it is best for your business to invest and find a suitable agency that specializes in that particular strategy. It’s important that you have a partner that is willing to work with you, not just provide services and be on their way. Most agencies do provide consulting in some form, but you can also go away from the agency model and hire a consultant alone, who can then work with agencies on your behalf. Consulting is great because it not only helps you to understand why they want to make the investment into the strategies that they do, but they will also work with you to ensure that those strategies are working harmoniously within your business. Consulting isn’t just the services, it’s an investment in a partnership. Here at RiseFuel, I strive to offer my services as part-agency, part-consultant. I'll help companies to not only design the strategies that they'll use to grow their digital revenue, but handle the execution of them as well. How can you know if your engagement with a company is successful unless you have a solid understanding of exactly what success looks like for your company? Working with internet marketing companies in Charlotte to outline the metrics and goals that you have for your engagement will help you to determine whether you want to continue working with them after the initial trial run ends. While every metric has its own uses and place within your strategies, nailing down the metrics that you will use to determine success in your engagement with an internet marketing company not only helps you to evaluate your investment, but it helps them to guide their strategies. This is a big one. For a partnership with an internet marketing consultant to work, you have to be on the same page about how often they will report in on the success of their activities and how often you will hop on the phone and discuss things. Most companies will agree to have a call scheduled at minimum of once per month. For more expensive engagements, you might want to ask for weekly or bi-weekly conference calls to go over things and keep your finger on the pulse of your partnership. One of the biggest reasons for delay in digital marketing services is a slow approvals process. When an agency is publishing things on your behalf, it makes sense that you would want to see what they are going to publish before it goes live. However, that can lead to some serious delays. If you don’t have a system in place for requesting revisions, providing feedback to the agency, and ultimately approving the different pieces of content — you will quickly find that you are running behind schedule. Make sure to iron out these details with the agency before you sign on the dotted line. A flimsy approval process can lead to slow results and weeks-long delays while the feedback is implemented or the agency waits for new instructions. It’s critical to remember that when you hire an internet marketing company that you are paying for their expertise and experience. They are the ones with the years (or even decades) of experience in internet marketing and no matter how much research you do, you can’t equal that level of knowledge in a few short weeks or months. In other words — let them handle what they are good at. Don’t become overly involved in the process. Ask for some general insights into what they are doing on your behalf and why. Too often clients will begin to dictate how strategies are executed and that will lead to less impressive results. Know when to take a step back, delegate, and let the agency handle things that fall into their area of expertise. Any Charlotte internet marketing company that comes to you and promises results in a time span of fewer than 2 months (or more like 6+ for search engine optimization) is not being straightforward with you. If they are able to deliver results in that time frame, they may be using nefarious methods to deliver them. A long-term approach is a good thing. It positions your company for long-term success rather than short-term profits. It ensures that the agency is taking their time and doing their due diligence to deliver strategies that improve your presence across all digital channels that they work within, and not just focusing on those that are delivering revenue now. For an internet marketing agency to be able to deliver the best possible results for your business, collaboration is key. By following the tips outlined in this article, you’ll put yourself in a position for success and a fruitful partnership with the agency or consultant that you decide to work with.